Articles by "Johnny Cash Songs"
This was written by the American singer-songwriter Will Oldham. He recorded it for the title track of his 1999 sixth album, the first on which he used his 'Bonnie Prince Billy' moniker. Oldham provided background vocals for Cash's Rick Rubin produced version, which can be found on American III: Solitary Man. Oldham recalled Cash covering his song to Mojo October 2013: "I actually heard about my song being on the album from a friend of mine who plays guitar with me," he said; "He'd talked to Rick Rubin who said, 'Oh yeah, Johnny Cash just recorded I see a darkness.' A couple of weeks later I met Rick and we arranged I could meet Johnny Cash. And when I did, Johnny said, 'I want to redo my vocals on that song, Why don't we work on it together? That was really exciting, and we did it that same day, worked together on 'I See a Darkness.'" "It was a situation we were both very comfortable with, which is working on music," Oldham continued. "We only spoke when we had something to say that the other person wanted to hear, so it was one of the few times when I actually felt I was in the correct company. And that's not trying to give myself excessive grace. He would ask the questions about the song; a couple of grammatical questions he wanted to clear up." Cash's health prior to the recording of American III: Solitary Man had been poor and he'd even been hospitalized for pneumonia. The album contained the Man in Black's response to his illness. Mojo asked Oldham if he felt spooky that someone who was seriously ill was singing about darkness? He replied: "No, it didn't, because the song is about seeing darkness and asking for friendship and support... it seemed good he was singing the song...at that time (it seemed like) an essential statement." This is about a guy who works at a car factory and builds his own Cadillac by sneaking out one piece at a time. Before he was a singer, Cash worked on the assembly line at a car factory in Detroit. Kris Kristofferson wrote this song while living in a run-down tenement in Nashville when he was working as a janitor for Columbia Records - a strange occupation considering he had a master's degree from Oxford University and risen to the rank of captain in the US Army. But Kristofferson wanted to be a songwriter, so he turned down a professor position at the US Military Academy at West Point and swept floors at Columbia waiting for his break. In the military Kristofferson learned to fly planes and he worked as a commercial helicopter pilot in Nashville, and the story of how he got his demo tape of this song to Cash has become legend: He flew his National Guard helicopter to Cash's front yard, where he landed and delivered the tape. The story is often skewed to imply that Cash had never met Kristofferson, but they had known each other since 1965. In a 2008 interview with the San Luis Obispo Tribune, Kristofferson explained: "I knew John before then. I'd been his janitor at the recording studio, and I'd pitched him every song I ever wrote, so he knew who I was. But it was still kind of an invasion of privacy that I wouldn't recommend. To be honest, I don't think he was there. He had a whole story about me getting out of the helicopter with a tape in one hand and a beer in the other. John had a pretty creative memory but I would never have disputed his version of what happened because he was so responsible for any success I had as a songwriter and performer. He put me on the stage the first time I ever was, during a performance at the Newport Folk Festival." This song is about a hangover, with Cash singing about "coming down" on a Sunday morning after being "stoned " on Saturday night. Many of Kris Kristofferson's songs deal with what happens after the fun, and it's usually not pretty. In this song, our hero puts on his cleanest dirty shirt, drinks a few beers, and heads out to face a lonely day. This song was #1 on the Country charts for two weeks in September 1970. It was Kristofferson's first Country #1 as a writer. In a 2009 Rolling Stone article about Kris Kristofferson that was written by Ethan Hawke, it explains that Kris made Johnny Cash listen to the song before removing the helicopter. After hearing it Cash said he "liked his songs so much that I would take them off and not let anybody else hear them." 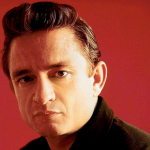 Cash recorded the song live on The Johnny Cash Show, and before the show, ABC censors asked him to change the lyrics, "Wishing, Lord, that I was stoned" to "Wishing, Lord, that I was home." Cash sang it the way Kristofferson wrote it, and even stressed the word "stoned." The original version of this song was recorded by Ray Stevens in 1969. At the 2009 BMI Country Awards, where Kristofferson was honored as an icon, he recalled how Stevens took a chance on his tune, when he was still an unknown songwriter. "Nobody had ever put that much money and effort into recording one of my songs," Kristofferson said. "I remember the first time I heard it - he's a wonderful singer - I had to leave the publishing house and I just sat on the steps and wept because it was such a beautiful thing." Stevens added that he was drawn to the song because he felt Kristofferson had a "spark." "He was very talented, very smart and right on time with his style," Stevens recalled. "A lot of people since then have copied those songs that he put out so at this point in time it doesn't seem all that different. It still is of course. There are very few writers who get that spark at the right time." Writer/s: QUILLEN, CHARLES W. / FLEMING, RHONDA KYE / MORGAN, DENNIS W.
In the early 1980s, Johnny Cash recorded a series of tunes with producer Billy Sherrill that were shelved after completion. The singer hung onto the master tapes, which his son John Carter Cash came across among a huge stash of Johnny and wife June Carter's effects. The album was eventually released through Legacy Recordings on March 25, 2014. This mid-tempo ballad of regret was released as the project's first single. "I really love this song," Carter Cash told Rolling Stone. "The depth that's there reminds me of the real serious stuff that Dad did later in his life. And I truly think it's one of the beautiful undiscovered gems in my dad's catalog." Among the instrumentalists is a young Marty Stuart, whose mandolin helps color the song. Stuart was a member of Johnny Cash's backing band between 1980 and 1985 and married the Man in Black's daughter Cindy in 1983. They divorced five years later. "I thought I was going to work with the character that has made the Folsom records, all San Quentin, but what I walked into was more of a family show," recalled Stuart to Uncut magazine April 2014. "He was Patriot Cash, working a lot of state fairs." "I sensed right off the bat that he was doing his duty, that he was musically discontent," Stuart added. "He asked me not longer after I'd been there, 'How are you liking it?' I said, 'Pretty good.' And he went, 'Pretty good?' I said, 'Yeah, the music is not what I thought it was. I love it but...' We didn't have to go much further, because I think he knew what I was feeling, and I certainly knew what he was feeling." The song was written by Dennis Morgan, Charles Quillen, and Kye Fleming and was also recorded by David Allan Coe. His version was released in December 1984 as the lead single from the album Darlin', Darlin, peaking at #11 on Billboard's Hot Country Singles chart. The video was directed by filmmaker John Hillcoat, whose resume includes the movies The Proposition and The Road. Hillcoat shot the clip over the course of a month in locations across the United States. "I've been a lifelong fan" (of Cash), Hillcoat told the Guardian. "The first film I made was a prison film [Ghosts … of the Civil Dead] so there's definitely a connection there with the whole Folsom prison thing. I was also inspired by his voice, which has a truth to it at all times - that's always helped me in terms of working with actors, no matter how big." Speaking with Billboard magazine, Carter Cash commented on the song's lyrical content. "We could take it at face value as a song about a woman, but it's this world we live in, America for that matter, the things that moved on," he said. "In many ways, you gotta look back and see the foundations that were laid are firmly in place. It's good to remember what they were and how we got where we are. We can look at it in many ways, but for me it's just a great communication in my experience with my father. To listen to the song reminded me of who he was and his integrity and strength as a person." And thank her for the good years that we had? And give my best regards to your good old dad. Johnny Cash penned this song himself. His son John Carter Cash told NME: "He always called his mother, and he made sure I called mine too. And now it's something I say to my three kids." In the mid 1980s Columbia Records dropped Johnny Cash from the only label he'd worked for since 1960. Thirty years later, Johnny Carter Cash found among a huge stash of his father and mother June Carter's effects, recordings of some lost 1980s sessions which had been shelved by the record company. A posthumous album containing some of these previously unreleased songs was made available by Legacy Recordings on March 25, 2014. This Adam Mitchell penned story song is the title track of the collection. The track tells of a struggling man who holds up a liquor store. Carter Cash told The Guardian: "The song itself deals with a sadness, it deals with a loss and it's something that we can relate to in our modern society itself." Adam Mitchell is a Scottish born Canadian-raised singer-songwriter, whose resume includes Olivia Newton-John's "Dancing Round and Round", John Waite's "Tears" and Kiss' "Crazy Crazy Nights." Why was the album titled after this song? Carter Cash explained to Billboard magazine: "Originally this body of work was completely untitled. After the fact, we looked at it to figure out what song would make a great statement. This was a song about sadness and tragedy in a person's life who's walking away from facing of a bitter end. There's a great depth of understanding there. But you know, I think being transferred in the title, I think it takes the listener to another place, like perhaps my dad's music spirit lies outs among the stars. It's definitely in our hearts also." This tragicomic cut about a suicidal drive over Lookout Mountain is from Out Among the Stars, a posthumous studio album containing recordings from lost 1980s sessions that were discovered by Johnny Cash's son John Carter Cash in 2012. John Carter Cash commented to Uncut magazine that his father, "sounds so happy about committing suicide!" This is one of a number of recordings that Johnny Cash made in the early 1980s with producer Billy Sherrill that were discovered by his son John Carter Cash in 2012. Carter Cash commented to The Guardian: "Rock and Roll Shoes brings back to me an energy that my dad had in the early 1980s that is true and strong. It makes me remember my father laughing and, of course, it reminds me of the years he spent in the early part of his career; the great creativity, the spirit of love and music that he had and it stayed with him through it all. I love Rock and Roll Shoes. What a fun song." And it's the name that helped to make you strong"
Bill or George! Anything but Sue! This was written by the multitalented Shel Silverstein, who later wrote several hits for Dr. Hook, including "Sylvia's Mother" and "Cover Of The Rolling Stone." Silverstein also wrote several popular children's books. He got the idea for the song from his friend Jean Shepherd - a guy who had to deal with a girly name. Shepherd was a writer/humorist like Silverstein; he narrated the 1983 movie A Christmas Story, which is based on his writings. This is about a boy who grows up angry at his father not only for leaving his family, but for naming him Sue. When the boy grows up, he sees his father in a bar and gets in a fight with him. After his father explains that he named him Sue to make sure he was tough, the son understands. Cash recorded this live at San Quentin Prison in February 1969. Shel Silverstein's nephew Mitch Myers told us the story: "In those days in Nashville, and for all the people that would visit, the most fun that anyone really could have would be to go over to someone's house and play music. And they would do what one would call a 'Guitar Pull,' where you grabbed a guitar and you played one of your new songs, then someone else next to you would grab it and do the same, and there were people like Johnny Cash or Joni Mitchell, people of that caliber in the room. Shel sang his song 'Boy Named Sue,' and Johnny's wife June Carter thought it was a great song for Johnny Cash to perform. And not too long after that they were headed off to San Quentin to record a record - Live At San Quentin - and June said, 'Why don't you bring that Shel song with you.' And so they brought the lyrics. And when he was on stage he performed that song for the first time ever, he performed it live in front of that captive audience, in every sense of the word. Johnny Cash performed this song in the East Room of the White House on April 17, 1970 when he and his wife were invited by President Richard Nixon. Nixon's staff had requested the song along with Okie From Muskogee and a song by Guy Drake called "Welfare Cadillac," but Cash refused to perform those songs, saying he didn't have arrangements ready.